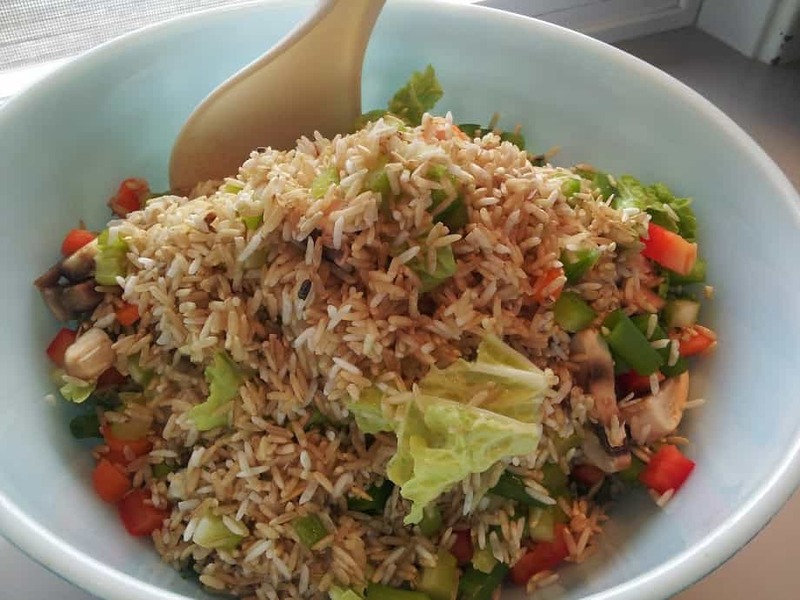 This Rice Cooker Brown Rice and Veggies recipe is just that easy. 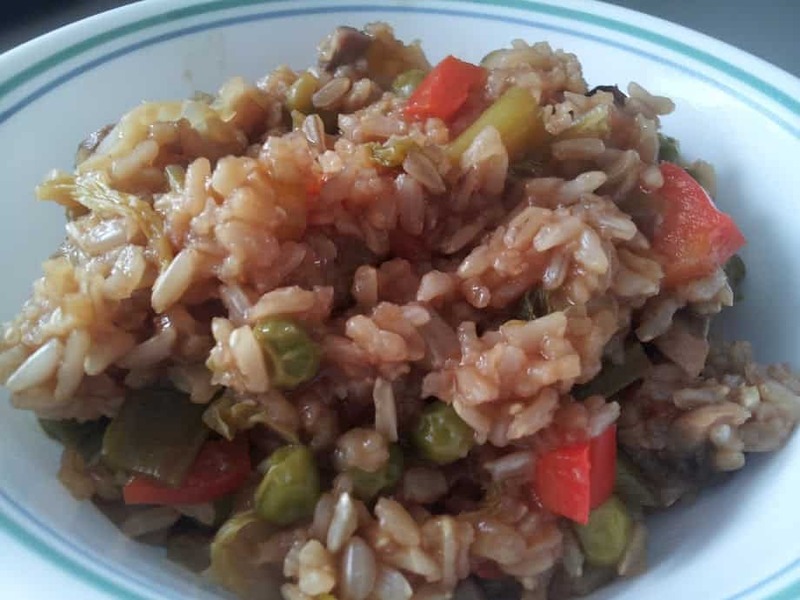 Chop a few veggies, add some flavoring, and toss everything into a rice cooker and walk away. Tasty, healthy, and easy. Who says this way of eating has to be hard? Not only is this 100% vegan, it is also McDougall friendly for all you starch eaters out there. 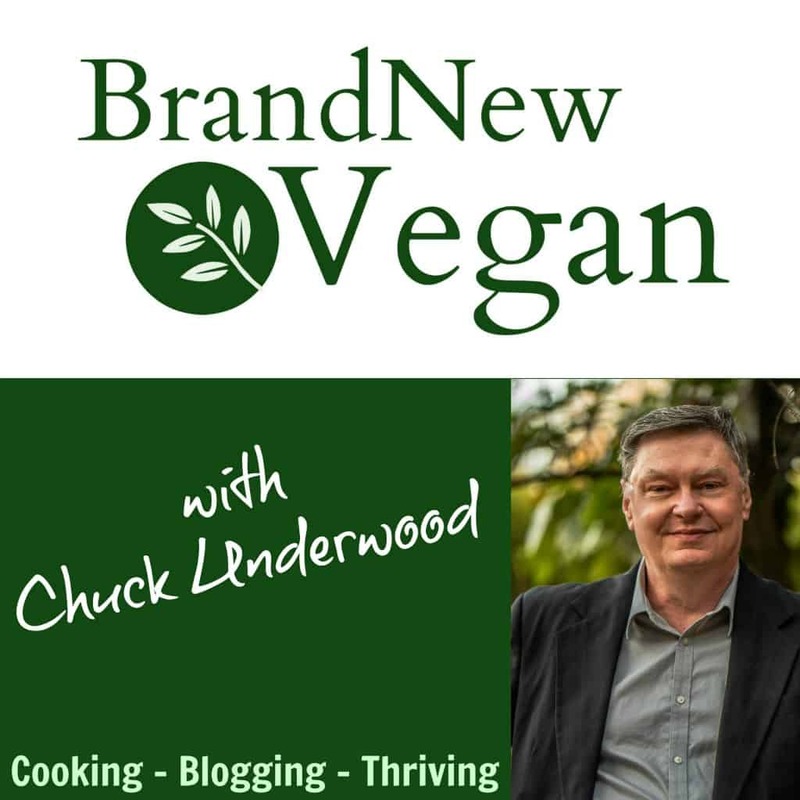 For those of you not in the know, Dr. John McDougall has been preaching a starch-based, low-fat, plant-based diet for over 30 years now. Now – onto the food! I made this for lunch today using my rice cooker. If you don’t have one, not to worry, you’ll just have to do it the old-fashioned way – on a stovetop. But let me tell you the rice cooker is the way to go – and they are so inexpensive these days. You really should invest in one. Start by adding the sauce ingredients to your rice cooker. 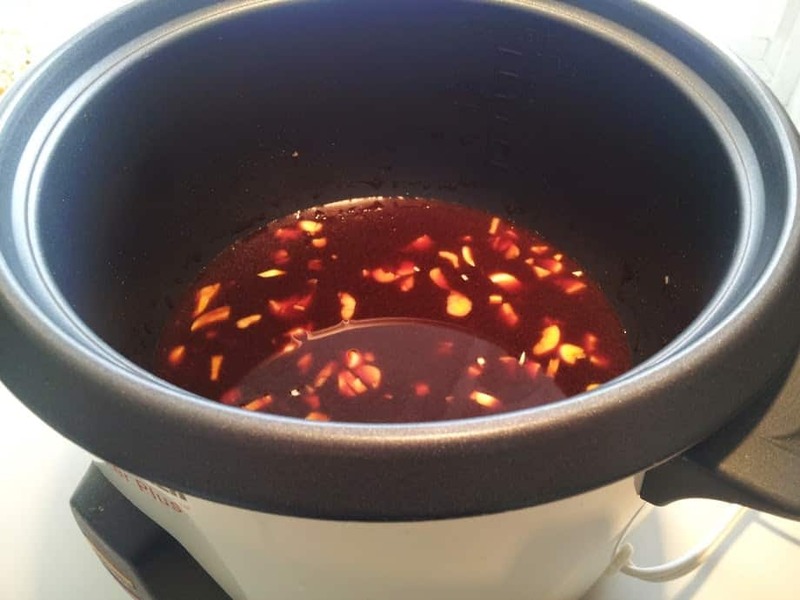 For this recipe I am making 2 cups of brown rice, so you want enough liquid to reach the “2” marking on your rice cooker. The sauce alone only makes about 3/4 of a cup, so add enough water to bring the liquid level up to the “2” mark. The sauce is simply my Oriental Brown Sauce Recipe, without the cornstarch thickener. Now we want to add our rice and veggies. I used 2 measures of brown rice (the little plastic cup that came with my rice cooker). For those of you without a rice cooker – about 2 cups of rice. Rinse and drain the rice and then add it to the rice cooker. 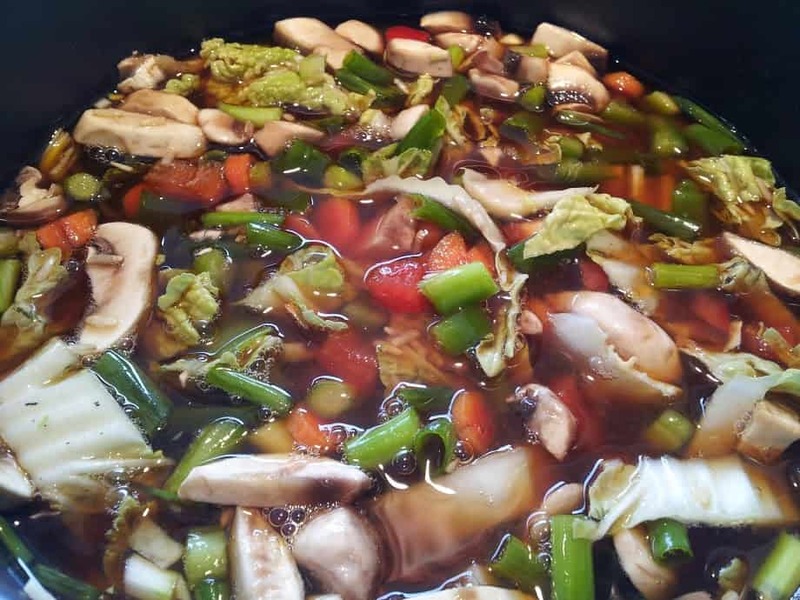 Now chop and add the garlic, celery, carrot, green onions, bell pepper, mushrooms, and cabbage. Dice them pretty small and uniform and they’ll cook evenly. Give everything a quick stir and then push the magic button! Note: Don’t add the peas just yet. They’ll be all mushy by the time this is done cooking (about 40 minutes). Instead, set your kitchen timer to about 25 minutes and add your peas then. Total cooking time will depend on your rice cooker – for me, it was about 40 minutes. You’ll know it’s done when the little slight switches over from COOK to WARM. There will be a lot of steam when you take the lid off, so be careful. Give it a quick stir to fluff up the rice and lunch (or dinner) is ready! Nothing like a healthy, nutritious, rice bowl, full of fiber, vitamins, and good ole plant-based goodness. Mmmmm. Time to dig in. I love easy recipes - especially where I can just throw everything in a pot and press a button. 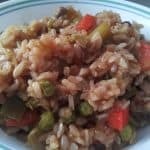 This Rice Cooker Brown Rice and Veggies recipe is just that easy! Add the broth, soy sauce, vinegar, and molasses to the rice cooker. Add enough water to bring liquid level to the "2" mark. Yes i am on dr McDougall forums so I can check my question out there. I will watch the u tube videos as well. Thanks for the reply.